With our expertise in the field of manufacturing, supplying and exporting we offer our valued customers with Heavy Duty Lathe Machine. We sourced our fine-finish raw material sourced from our extensive vendor base to provide our customers high standard machine. We have been engineered our products as per the predefined standards and availed to the customers at the most comprehensive and market leading price range. These machine are available in various specifications as per the demands of our clients. We present all geared lathe machines for heavy duty operations which are preferably used in heavy engineering and industrial applications as well as precise machining applications like Automobile, Electrical,Steel Plants, Railways, Defence etc. 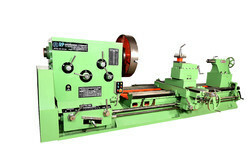 This machine is designed with the most qualified features that provide consistency in long term production requirement. Backed by our experience of decades in the industry, we have come up with Roll Turning Lathe Machine for our valued clients. These heavily engineered Roll Turning Lathe Machine are used in cement plants, rolling mills and various other sectors to finish and proof machining of rolls. Our machine features power drive option to assure maximum efficiency of integrated parts. 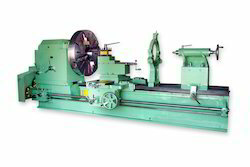 We are the leading exporters of Roll Turning Lathe M-Roll Turning Lathe Machine.